a) Avoid all foods that are high in potassium nuts, jaggery, instant coffee, chocolate, cocoa powder, low sodium salt, tender coconut water, fruit juices, ragi and bajra, as also vegetables and fruits that are high in potassium. 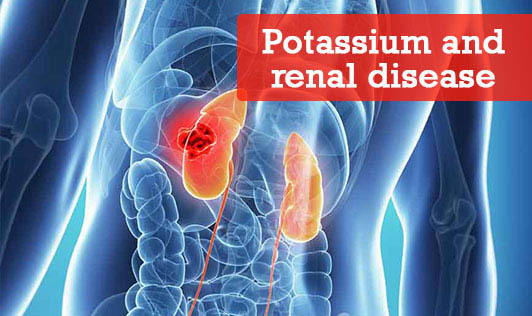 b) In acute renal failure, potassium intake should be less than 2 gms per day. d) Here is a list of low potassium vegetables and fruits that can be included in the diet of a patient with renal disease: Beetroot; Bottle gourd; Broad beans; Chow-chow; Cucumber; Fenugreek leaves; knoll kohl; Lettuce; Peas; Radish - pink; Ridge gourd; Snake gourd; Apple; Guava; Papaya; Pear; Pineapple; Rose apple. Excess potassium can be removed from the vegetables by a process called leaching. To leach out potassium, peel and cut vegetables. Soak in hot water for half an hour to one hour. Discard water and cook in large volume of fresh water. High potassium vegetables to be leached - amaranth, colocasia, coriander leaves, drumstick & leaves, potato, spinach, sweet potato, tapioca, tomato and yam. Above all, every patient with renal disease needs the help of a dietitian to plan a suitable diet depending on the patient's condition, which may vary from day to day. Do consult your dietitian for a proper diet; this is important.